Scalping is very popular among retail and professional traders. Firstly, we must know what it is! In this article, you will find definitions, tips, and efficient short-term trading strategies. Welcome to the best 2018 scalping guide! We all one day wondered what scalping is or in other words, what does it mean to scalp when it comes to trading? Scalping is a trading style which consist to buy and sell financial instruments like currency pairs on the foreign exchange market or stock market indexes within very short time periods; a few minutes, sometimes a few seconds. Scalpers are only looking for a few pips/points when entering the market. Scalping is usually used on derivatives with high leverages. The ROI (Return On Investment) of each trade is quite small regarding the risk taken (risk-reward ratios are often if not always below 1:1, but the big advantage is the success percentage of this method). For example, a DAX 30 scalper is a trader having a very short-term approach when trading. Profits per trade are quite small compared to the size of the global trading account because of the small market moves we are aiming for. This is why scalpers tend to take a lot more positions (and use higher leverages) than swing traders. When trading on very short time frames, we are seeking to take advantage of the smallest market fluctuations (around 5 to 10 points or pips). Scalping is also the fastest type of trading just after high-frequency trading. 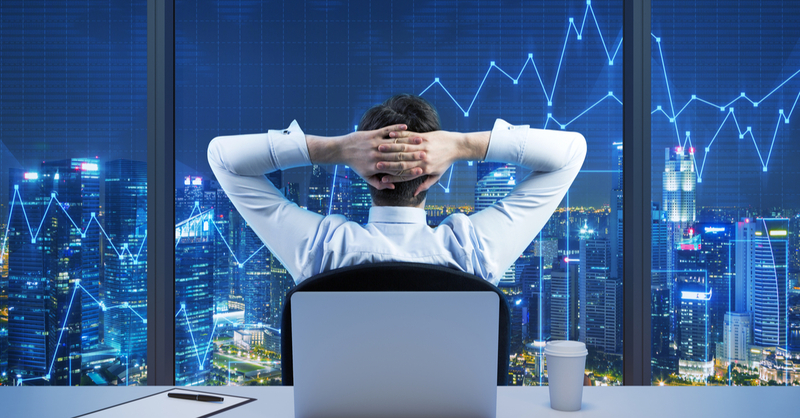 Between these two last types, scalping is the only one really available to retail traders as high-frequency trading requires an expansive professional equipment and an excellent internet connection. Professional traders also appreciate scalping because it limits the account's exposure from the market random fluctuations over time (not like position trading). Scalpers don't follow usual money and risk management rules like having a 2% total risk (regarding the capital) per trade. Most of the time, they use bigger position sizes or define their stop losses according to different criteria than day and swing traders. Once we start acquiring forex trading experience, we understand the importance that having a forex strategy is essential in order to reach success. There are many different good trading strategies. In this article, we will focus on scalping itself, scalping indicators, and scalping strategies. Most scalping strategies are based on technical analysis and price action. Fundamental analysis is not really taken into consideration as they drive long-term trends, not minute to minute movements. Technical indicators are often used to scalp, but many traders don't know which ones are the most efficient. Let's have a look at some indicators that may be used for scalping. The technical indicator Ichimoku is widely spread and can be used for scalping on 1-minute charts. It is hard to tell which indicator is the best, as some of them may not suit you. Some traders agree that Ichimoku is the best scalping indicator, while some others would never even consider using it. Trading is very personal, and only the trader can decide what suits him according to his vision of the market. You'll find below an extract from the "Independent trader with professional tools" formation where our analyst explains an Ichimoku scalping strategy used on 1-minute charts. Need explications on these forex scalping indicators? 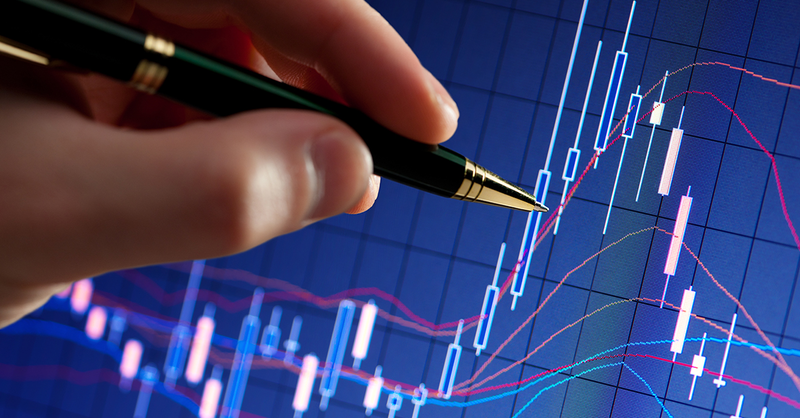 Don't hesitate to consult the list of the best MetaTrader scalping indicators. Of course not. Other MetaTrader 4 scalping indicators can be used like parabolic SAR, Renko bars or MACD. Before starting trading with an indicator, don't hesitate to learn how to use it, and what are its advantages and disadvantages. How to scalp the forex market? Most foreign exchange traders work on 1, 5 and 15-minute charts. When scalping, it is necessary to stay on short time frames. Besides short time frames, traders can also work on charts that do not depend on time but only on movements thanks to the MetaTrader 4 tools and the MetaTrader 5 Supreme Edition available at Admiral Markets. You will be able to see by yourself which approach suits you the best and which one allows you to be profitable on the long term. You may be wondering why we're referring to a long-term investment horizon when scalping is used on very short time periods. It is a very good question, which we will answer just below. In the end, you'll inevitably have bad trading sessions as well. Therefore, the only way to have a real idea on your strategy's efficiency and reliability is to look at your results over a long period of time, which will include good and bad trading sessions. Only then, you will be able to objectively judge if your forex scalping strategy is the best for you. If you're trading on a 1-minute EURUSD chart, you might go for a 5 pips take profit rather than a 10 one. The smaller the time frame you're trading on, the smaller the movements will be. That's why it is necessary to adapt take profits to the chart you're looking at. Renko and range bars eliminate the market "noise" and are often used with Bollinger bands and the MACD indicator in order to trade breakouts. However, Renko and range bars require special settings (step size) which depend on the financial instrument you're trading. Therefore, Renko and range bars tend to have a more professional approach of charts. This represents a real advantage when it comes to scalp CFDs as it is recognized that Renko and range bars are better (for scalping) than time-related charts. You have the possibility to use these chart types (tick, range, Renko) thanks to the MetaTrader Supreme Edition plugin, available on all our trading accounts (whether it is MT4 or MT5). Some traders use platforms like the MetaTrader 4 Supreme Edition or more recent, the MetaTrader 5 Supreme Edition which allows customizable time frames, like a 2-minute one (not available by default). How to scalp the markets? You're probably wondering how to scalp, or maybe you're looking for a short-term trading strategy? You are in the right place! Even if we have already been through many free scalping notions and tips, we are far from done! Then, the first step to becoming a good scalp trader is to learn the forex basis and see if this approach suits you. Demonstration accounts allow you to test scalping strategies in real market conditions without any money. Scalping also depends on the time you can allow to the development of your strategy, and to your trading sessions. Scalping is a way to invest using high leverages, so good money and trade management are essential. Scalping the DAX 30 or the CAC 40 requires to monitor charts often during the day. If you're scalping using the order book, market hours are restricted; this short-term strategy needs a high market liquidity and tight spreads. Scalper have to be able to react quickly and close their orders as fast as possible to take their profits. Scaling guide: 5 steps to scalp the markets! You can trade using a short-term strategy on all financial assets. However, some of them might give better results than others over time! Scalping requires volatile and liquid markets. That's why currency pairs (forex) and indexes are the best financial instruments for it. Among commodities, we can scalp gold and oil (WTI or Brent). Other commodities like silver are less interesting to scalp due to their spread. This list is not exhaustive as most financial instrument can be scalped (as long as volatility, liquidity, and spreads allow it). Each market has its particularities. We usually find more scalpers on the forex market than on the stock market. Some currency pairs are good to avoid when scaping, just as silver when we're looking to scalp commodities. The Mexican pesos, the Czech koruna, the Turkish lira or the Russian rouble are exotic (high spreads) and can be highly volatile while not very liquid. This means it is not always as easy to close a trade as it is on major currency pairs. On the contrary, if you're looking to scalp a currency pair with a low volatility, you might wait a while before the exchange rate moves. You're scalping the DAX 30? If the answer is yes you probably know it is not the easiest index to trade, and that looking at its price action is essential. Supports, resistances and last lows and highs can be associated with price action. You can also keep an eye on the different assets the DAX 30 is correlated with (American stock market indexes for example) on the MetaTrader Supreme Edition. Other ways can also be used when scalping on the forex market such as scalping software or scalping expert advisors. Which scalping strategy is the best? As you may already know, there are many forex scalping strategies. That's why it can be very difficult to answer this question. Each trader uses his own scalping strategy. However, whether you are a novice or an experienced scalper, the best is to always keep your strategy simple. You are probably thinking that if a forex scalping strategy could be simple and profitable, everyone would know and use it. What usually happens is that expectations are high and the lack of personal work (regarding backtest for example) prevent the trader from being profitable on the long-term. In the end, the best scalping strategy has to be simple, easy to execute on a daily basis and profitable over time. And of course, it has to suit you! How to handle the stop loss in scalping? A stop-loss, as well as one or more take profits is elementary, but not always applicable when scalping the forex market or indexes due to a lack of time. Indeed, while calculating your position size according to your risk, you can miss a trade. For a long time, this has been a problem for many professional scalpers. However, the forex scalper trading with Admiral Markets doesn't have to worry anymore! This is just a brief overview of the Mini Terminal functionalities available on the MetaTrader 4 and 5 Supreme Editions. Sometimes, even if you're scalping the forex market with the economic calendar or on more than one currency pair at the same time, using predefined orders can ease your scalping interventions on the market. Which broker to choose for scalping? Index and forex scalpers require the best trading conditions because it's harder to be profitable with high spreads and slow order executions. The scalping broker's choice is very important. Choosing a regulated scalping broker to trade with low spreads! When it comes to picking the best-regulated broker for your scalping strategy, the first thing to do is to check if you would be able to scalp with it. Indeed, not all brokers allow scalping (due to the spread, or the rapidity of the order execution). Then, you must only keep brokers that can provide an STP (straight through processing) or ECN (electronic communication network) execution system. Once you've consulted a list of regulated brokers, look at the different financial instrument available and check their usual spread. Most brokers apply fees (which is not a bad thing), and some do not. The lack of spread or fee to pay to the broker increases the profitability of a trade. However, fees can't be the only thing you're looking at when choosing a regulated broker for your scalping strategy. Before opening a real account, you can see real-time spreads for each CFD asset through a demonstration account (which can be provided by Admiral Markets). To be sure there are no problems when making a withdrawn, the best is to trade with an Australian or English regulated broker. For example, you have a $3 USD fee when opening and closing a standard EURUSD lot (one contract) via Admiral Markets. You can compare our different account types on this page. You will find an STP account with low spreads and no fees. To scalp the forex market, the best account is the Admiral Prime one, whereas for indexes the Admiral Markets account might suit better. Brokerage fees can represent up to 10 to 30% of a scalper's profit. That's why it is very important to look at all the different costs before choosing a regulated broker to scalp with. Even with spreadless accounts, it is important to know before taking any trade how much fees will be. For example, if you're trading two EURUSD standard lots with a 1 pip spread, you'll have to pay the broker $20 USD (whatever the outcome of the trade is). Therefore, you will have to aim for at least 2 pips in order to make a profit from this position. If you're aiming for a 5 pips take profit on your trade, you must, in reality, aim for 7 to take into consideration the spread. That's why it is better to scalp major currency pairs with low spreads like the Euro against the US Dollar, the US Dollar against the Japanese Yen (USDJPY) or the British Pound against the US Dollar (GBPUSD). When scalping, we can't afford to pick a broker with high spreads. If we take a trade aiming for 3 pips (for example) while having a 1 pip spread, the price has to make a 4 pips move in our direction before being able to close the trade with the expected profit. For example, a typical DAX 30 spread between 8 AM and 10 PM is about 0.8 point with Admiral Markets. This spread is very interesting when scalping the DAX 30 on 1-minute charts. Scalp traders who specialize on the German stock index sometimes look for brokers who also specialize on the DAX 30 to find the lowest possible spread. The order execution quality is just as important as the spread. It is always good when brokers have more than one liquidity provider. Scalpers need their trades to be executed as fast as possible, without slippage. Even if a broker offers very good spreads, it is useless without a fast order execution. Timing is essential in trading, and even more when it comes to scalping. Some brokers are very transparent regarding their order execution system and can sometimes post statistics about them. To discover our order execution statistics, you can go to the order execution page. Another important point for scalp traders is the order execution system. It can be difficult to be successful if this system has flaws. In other words, a good broker doesn't re-quote markets and is able to execute scalping orders very quickly. It is a pity to find good market opportunities and not be able to take advantage of them because the trade was filled at a different price than the one we wanted. Therefore, it is best to try the order execution speed of a broker through a real account. Scalping is one of the most advanced short-term trading approaches and needs efficient technical tools. In order to take a good trade, a good analysis must be realized beforehand. Chart analysis is the basis of scalping as fundamentals don't influence the market on short-term periods (besides when news are released). Trading online using technical analysis requires reliable and fast platforms like MetaTrader 4 or 5. Some own account scalp traders use tick charts to better identify the moment they take position. They can also navigate between different time frames to refine their analysis. For example, we can find DAX 30 scalping signals by looking at the 1 or the 5-minute time frame, and actually, take the position on a tick chart using the Mini-Chart available in the MetaTrader 4 or 5 Supreme Edition. When we want to scalp indexes, it can be interesting to look at the correlation matrix which displays how financial instruments interact and behave with each other, as you can see on the image above. You can use the correlation tool with the MetaTrader Supreme Edition to monitor other instruments and use it in your analysis. Another very important rule when scalping and trading in general is to always use a stop loss. It is even more important when scalping news, due to the high volatility that can occur. With Admiral Markets, you can have a software adapted to your forex scalping: the Trade Terminal. In the shape of a window you can put anywhere you want (like on a second screen), it allows you to be able to keep an eye on your open positions and monitor them. The Trade Terminal gathers all the Mini Terminal functionalities, and even more. Another way to scalp the forex market is to use a scalping Expert Advisor (EA) or a scalping automate (trading robot) to automatize trades. It is wise to first test it on a demonstration account to make sure of its reliability. A winning scalping strategy has to be built over time. Therefore, being patient is essential before using it on a real account. As you probably understood, automatic or semi-automatic trading represents a considerable advantage but is often stigmatized due to many EAs sold on the internet that promise very high returns over short periods of time. It doesn't display the reality of trading. Scalpers also use Renko scalping strategies, sometimes through EAs. Traders will take decisions based on market moves, not like on Japanese candlestick charts which are time-related. Forex robots still have a bright future in front of them, thanks to technological breakouts. All of these criteria are included in the MetaTrader 4 and 5 Supreme Edition available with Admiral Markets. Many novice forex traders aim to live from their scalping strategy profits. Even if it is possible, scalping takes time and experience to be mastered. If you have enough time to dedicate to this activity, you'll be able to quickly analyze charts thanks to technical indicators and take fast decisions. The goal of this article is to give a real overview of what scalping is (especially when trading through MetaTrader 4 or 5). It is essential to remember that the best 2018 scalpers follow strict rules regarding their strategy and their money/risk management in order to be successful. When we talk about scalping, it is often related to CFDs. Here is the answer; as previously discussed in this article, scalpers are only looking for tight take profits (a few pips or points) by taking advantage of small market moves. With small position sizes, profits would be very low, probably in cents. It is simply not worth it. That is why many scalp traders use high leverages; to be able to open bigger positions on the market with the same capital. It can be very risky, which is why scalping isn't made for beginners. Futures and CFD contracts are two types of derivatives that can be traded. CFD contracts are more accessible thanks to the margin required (it can be very low with high leverages). Therefore, it means that scalping is possible even with a small trading account contrarily to Futures contracts. Indeed, leverages available on Futures contracts are a lot smaller than on CFDs. Swing trading is a long-term investment approach. Thus, swing trading can be considered as the opposite of scalping. Swing trading can be assimilated to position trading, as operations can last weeks, months or sometimes even years. If you're wondering which is the best between scalping and swing trading, a solution is to try both of them on a demonstration account. 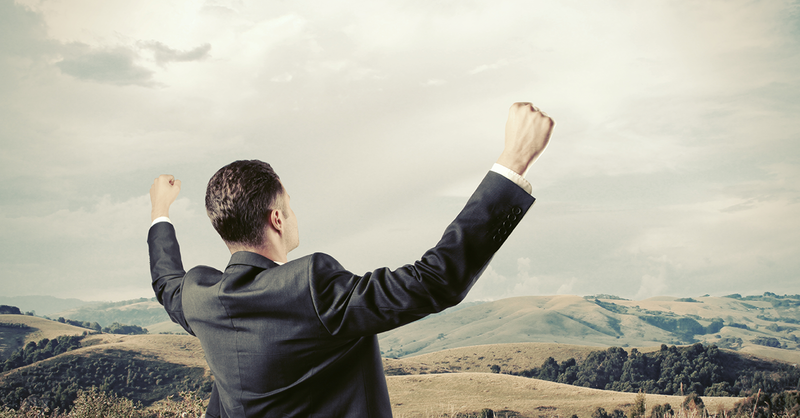 If you are lively and like action, scalping is probably made for you! Once again, it is important to remember that skills, knowledge, and experience are required to become a good and profitable scalper. If you're not comfortable with money/risk management and risk-reward ratio notions, you should not do scalping for the moment. If you're a scalper, you have to act like one. You can't open a trade and let a loss run without stop-loss hoping the price will come back to your entry point, as it could be assimilated to swing trading. What is the difference between scalping and day trading? Both approaches are usually based on technical analysis, try to avoid overnight positions and can be considered as short-term. Scalping – Where is the trap? Scalping is sometimes referred to on the internet as easy and efficient. The truth isn't as bright. Novice forex traders need to test their strategies on demonstration accounts in order to not risk their capital on something they are still learning. The biggest trap when it comes to scalping is to not accept the loss. Therefore, some scalping positions can be turned into swing trading positions. Strict rules are essential in trading. How to do high-frequency trading? High-frequency trading is a form of scalping but only through automates, which buy and sell financial instruments within seconds or less. Here is an automate example: the MT4 or MT5 Dax scalping EA (expert advisor). Of course, there are many more trading programs. High-frequency trading requires a very fast internet connection and professional equipment. That's why it is not available to retail traders, only to professional ones. You can't learn scalping at school, or through a book or a video. Scalping requires more time and practice. What are the two principal skills to scalp? These skills are less essential when the investment horizon is larger. This is why scalping on a demonstration account is the best way to learn in almost real conditions. You'll also need a money management plan as well as a trading plan. You can look on our Youtube channel for formation and training videos. Contrarian scalping consists in scalping against the market's trend. For example, these types of scalp traders might wait for over-bought or over-sold areas (identified thanks to the RSI) and try to anticipate the next trend. The logic here is very different. The goal is to catch quick market reversals or "breathes". Once again, scalping isn't the right approach for novice traders. Scalping is a risky approach of trading and is not suitable for novice traders. Any trader who wants to start scalping should first do it on a demonstration account before risking any real money.